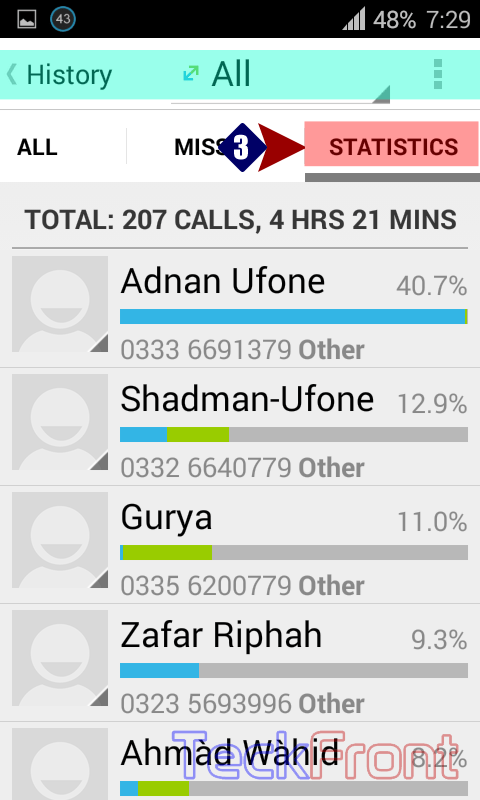 How to See Call STATISTICS in Android KitKat 4.4.2 Phone? Examining the call statistics, regularly, is a good habit and can be used to see the calls log, callers, frequent callers and other statistics. Examining the call statistics is a simple function in the Android KitKat 4.4.2 phones. Command Line: Phone Dialer > History > Statistics. 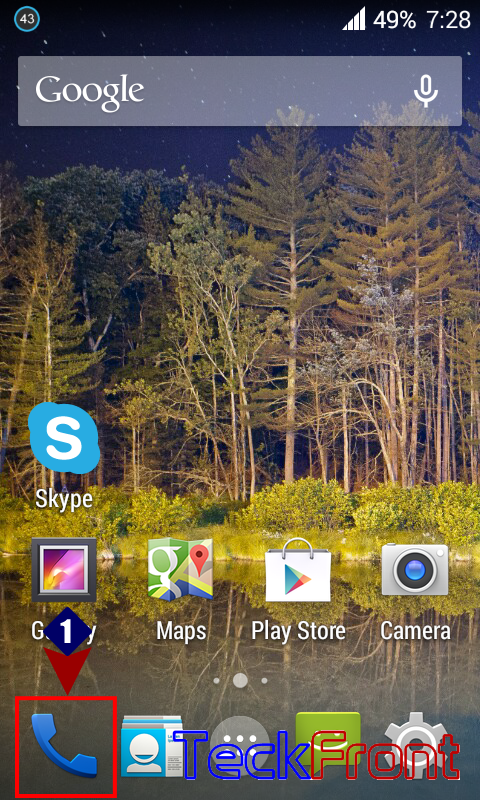 1: Tap the ‘Phone Dialer’ at the Home screen, to open up the phone dialer screen of the Android KitKat 4.4.2 phone. 2: Tap the ‘History’ button, available at the bottom left corner of the phone dialer screen. 3: At the ‘History’ screen, tap the STATISTICS and all the data about the calls statistics will swipe before you. 4: Alternatively, you may swipe the screen to right with the help of your finger to explore the STATISTICS. 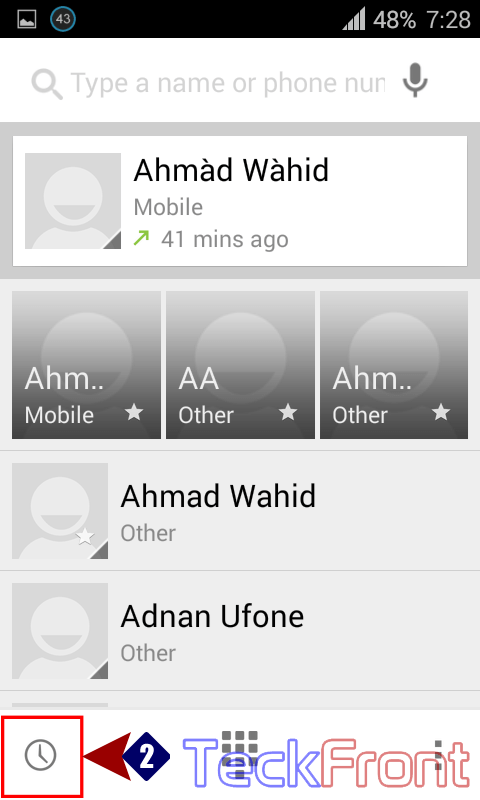 Newer How to Set Call Forwarding When Unreachabele in Android KitKat 4.4.3 Phone? Older How to Set Phone Contact Number for the Android KitKat 4.4.2 Phone?